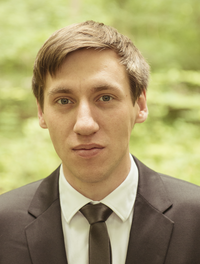 Stefan Jagdhuber is Research Fellow at the International Relations Department of the Geschwister-Scholl-Institute of Political Science since April 2013. His research focus is on integration and IR Theories, the United Nations, and on the foreign policy of the European Union. Stefan Jagdhuber studied Political Science, Modern and Contemporary History, and Sociology at the LMU Munich in the period from late 2007 to early 2013. Stefan Jagdhuber runs the project seminar “The Functioning of the United Nations – Simulation games and role playing (NMUN)” (together with Dr. Reinhard Wesel). An integral part of this seminar is the participation at the National model United Nations (NMUN), the highly prestigious and biggest UN simulation of the world that usually takes place during Holy Week in New York. The seminar (winter semester) introduces to the theory, structure and functioning of the United Nations system. Moreover, the seminar intensively prepares the participants to “represent” an assigned country at UN bodies that are to be simulated in New York. The seminar is held mainly in English. For more information on Stefan Jagdhuber, please visit his Curriculum Vitae. Stefan Jagdhuber is not teaching during this term.